A dazzling work of biography, memoir, and cultural criticism on the subject of loneliness, told through the lives of iconic artists, by the acclaimed author of The Trip to Echo Spring. When Olivia Laing moved to New York City in her midthirties, she found herself inhabiting loneliness on a daily basis. Increasingly fascinated by the most shameful of experiences, she began to explore the lonely city by way of art. Moving from Edward Hopper’s Nighthawks to Andy Warhol’s Time Capsules, from Henry Darger’s hoarding to David Wojnarowicz’s AIDS activism, Laing conducts an electric, dazzling investigation into what it means to be alone, illuminating not only the causes of loneliness but also how it might be resisted and redeemed. 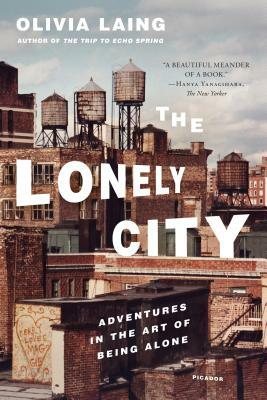 Humane, provocative, and moving, The Lonely City is a celebration of a strange and lovely state, adrift from the larger continent of human experience, but intrinsic to the very act of being alive. Olivia Laing is a writer and critic. Her first book, To the River, was published by Canongate to wide acclaim and shortlisted for the Ondaatje Prize and the Dolman Travel Book of the Year. She has been the deputy books editor of the Observer, and writes for The Guardian, New Statesman, and The Times Literary Supplement, among other publications. She is a MacDowell Fellow, and has received grants from the Arts Council and the Authors’ Foundation. She lives in Cambridge, England.